The Gunpowder River is flowing at 110 Cfs and is 53.5 degrees F. The lower river is clearing nicely after some heavy rainstorms this week. Small caddis, sulfurs and terrestrial are all worth a shot. 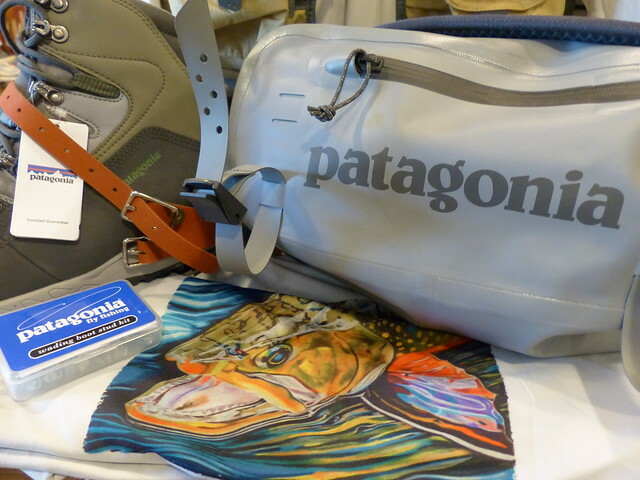 The difference between missing fish and catching fish might be your leader and tippet. Stop in the shop and show us your rigging. We’ll be happy to help you pick out the right stuff. By this time of year the fish have seen a lot of flies so go long and light by starting with a 10 ft 5x leader and plan on adding a foot and a half of 6x or 7x tippet. Fishing early will be productive with unweighted pheasant tails and soft hackles. Mid-Afternoon fishing with sulphur dries has been better after 2 PM. If you’re planning on fishing till dark try a few rusty spinners in a #16-18. Thanks so much for some of your insightful tips and getting me outfitted with the correct leaders, tippet, and flies for my current fishing endeavors. I did exactly as you said, and it worked. Mid-afternoon I tied on the Sulphur emerger pattern on to 1.5’ of 7x tippet on my 5x leader. Twelve presentations in I started seeing the fish coming closer to me feeding. I caught one on the emerger pattern and 3 on the sulphur dry’s as the afternoon progressed at Masemore, down river. All the time and effort put in to this River, it came together these past two days. Where, today I also had a great day out on the water. I was hunting the shade just as much as the fish. Here are a few pics I snapped of these beautiful wild’s. Off and on rain did not permit me to get out on the river until the mid afternoon. At 3pm the sun was peaking thru the clouds as I entered the river, Masemore Rd downstream, and jumped from shade patch to shade patch. That humid erie fog was rising off the river as the sun made more of it’s presence known. Fish were feeding off and on throught this fog that was lifting. Not observing much sulphur activity, but I tied one on anyway. Sulphur Dry #18. No looks at all, made roughly 30-40 casts. As the afternoon progressed the fish became more active. Feeding within 10 feet of my, but not on my offerings. I tied on an Ant pattern #16 and immediately got the results I was looking for. The 2nd fish was a beautiful one. Maybe the biggest I’ve caught in this area. Fights was hard and aggressive. More than I expected. 73 degrees. Cool mixed with humid spells on the river, partly cloudy. River seemed to be moving faster today. This guys is pushing 12”. This entry was posted in fishing report on June 17, 2016 by Theaux Le Gardeur. The Gunpowder River is flowing at a near perfect 110 CFs and is 53 F. Bright days have been challenging for those seeking fish on dries. Small caddis in the #16-18 range and Sulphurs in the #16-18 range have been the ticket. If you don’t want to fish 7x Cover the pocket water and boulder pools with a #16-18 bead head prince behind a small hopper or foam caddis. 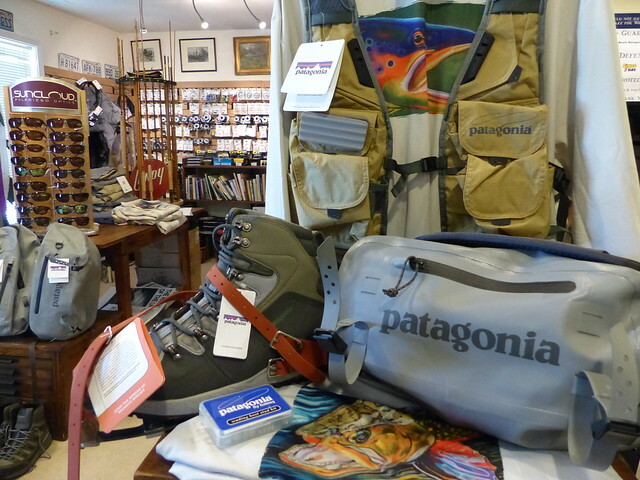 Don’t wait to fish the Sulphurs-it might be time to get out of D.C and connect with a wild fish in the Gunpowder river…We’re loaded for bear with new Patagonia gear that just arrived in time for a wade or float trip out west. 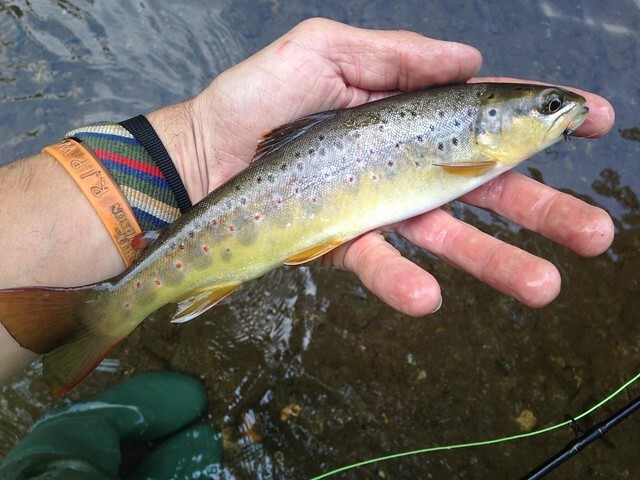 Fly fishing Western Maryland? –Stop in and ask Gene and Stefan how the Savage River was fishing this week. This entry was posted in fishing report on June 10, 2016 by Theaux Le Gardeur.